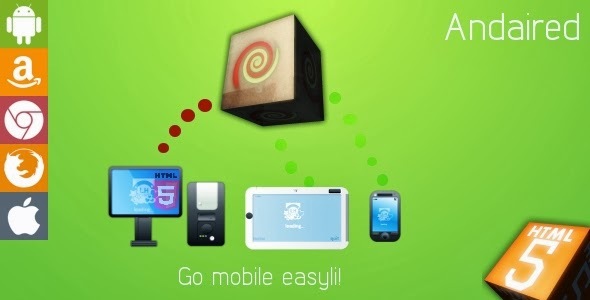 using Adobe AIR SDK and creating mobile apps from HTML5 games and webapps. You can use existing CSS3 and HTML skills to build an mobile app. Version 3.0 will include new user interface and extra tools for generating own simple Android apps and live wallpapers. 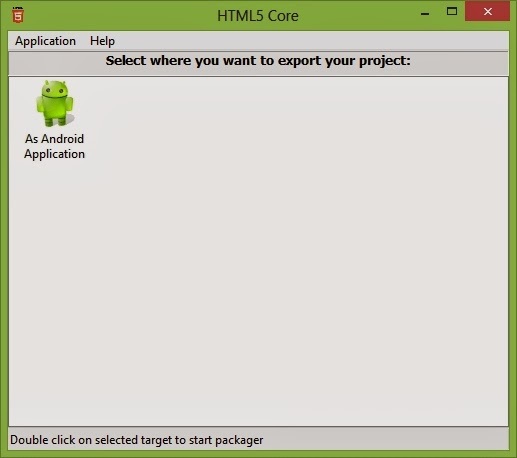 Also apps made with HTML5Core will look much more professional to fit the new Android 5.0 interface. It helps you visually and without pain create self-signed certificates, application descriptor XML and generate all required size icons. Also you can test your games using Air Debug Launcher (ADL) or Android emulator/real device. It doesn't do all the magic by making your game optimized for mobile. You have to replace keyboard input to on screen control on your own and don't expect that all games engines will work without tweaks. AIR Mobile isn't exactly the same as Flash Player for desktop. Feel free to try a demo version bellow before you are planing to submit game for Google Play or other app store. If your Flash game doesn't work in demo version it will not work in a full version of this software. Optimize your code for mobile devices. Forget about coding in Java with Eclipse just to wrap your game and you no longer need a Flash Builder trial just to get your game on Google Play and reach millions of new players. Also you can develop games for Ouya and iPad/iPhone. and games. There is no limit how much application you can create and you can monetize your applications by including AdMob ads. In the future versions there will be more mobile OS supported like Firefox OS,Windows Phone 8 and more app stores supported like Chrome WebStore and Amazon Apps.It will become a great alternative to PhoneGap and much cheaper solution. Updates are always free for the lifetime. As for today the HTML5Core uses WebView to display content so it's not really meant to be used for intensive HTML5 games. Follow the updates once it will be updated with PhoneGap or other faster rendering engine. *Android: Fixed memory leak in WebView. *Added Amazon Kindle Fire apps exporter with Amazon ads support. Now if you are using AdMob you need to target Android 17 Jelly Bean 4.2.2 or newer platform and install Google Play Services. You will get free updates for the lifetime. version name. Version name is the one shown to users like 1.1 or 1.0.1. All you need to do is open AndroidManifest.xml in your project directory and increase version code and also version name. 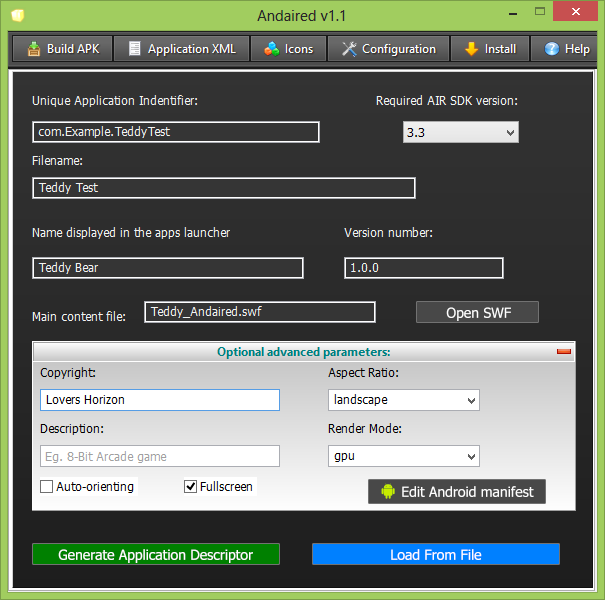 Read more about android:versionCode and android:versionName. You can download my example Flash file which uses SWFObject. 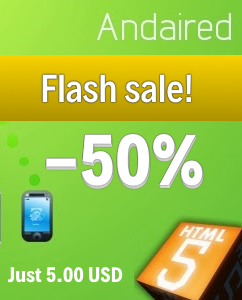 Also note that Flash plugin doesn't works with Android 4.3 and newer. How to implement Android Back key for Adobe AIR Games?